ALL THEY ARE SAYING… IS GIVE WAR A CHANCE! It is often said that war is the last resort; that when all other means are exhausted, and diplomacy has failed then-and-only-then is war an acceptable option. Today we are seeing an example in Gaza. Is there any place in the world where a given conflict is more intractable than here? The argument over land and legitimacy dates back to the end of the 19th century, when the first Zionists purchased swampy, unoccupied land in Palestine from the Ottoman Turkish authorities. As the Jewish settlers reclaimed the land, their settlements were soon prospering; attracting an influx of neighboring Arabs. Soon the Arabs outnumbered the Jews, and friction led to conflict. After fighting and winning 4 wars in as many decades (wars which were all started by the Arab nations around her), Israel came to control the Jordanian lands west of the Jordan River (the West Bank), as well as Jerusalem. From Egypt, Israel won the Gaza Strip and the Sinai Peninsula. Sinai was given back to Egypt as part of the Camp David Accords in 1978; purchasing peace between the two nations that has lasted to this day. But Israel retained (was stuck with) both Gaza and the West Bank; and the problem of controlling a hostile Palestinian Arab population. President Clinton was able to make a deal (Oslo Accords) in which a Palestinian Authority was created, and Israel agreed tacitly to a two-state solution. In 2005 Israel pulled out of Gaza, giving the Palestinian Authority complete autonomy. Gaza was to be an experiment in Palestinian governance; a chance to show that a two-state, “Land-for-Peace” solution (in which land was given by Israel to the Palestinians in return for peace), was viable. 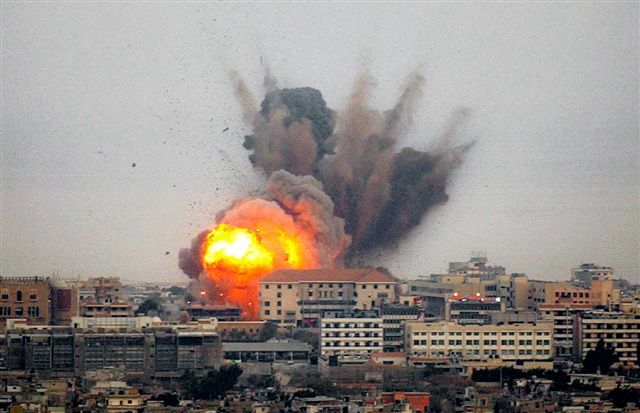 However, the 2006 takeover of Gaza by the Hamas terrorist organization dashed any hopes of a peaceful solution; as Hamas soon turned Gaza into a base for incessant attacks upon Israel. 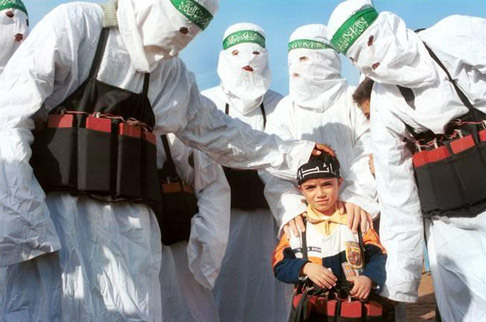 Even the children of Gaza are trained by Hamas to hate Israel and plan to kill Jews. In response, Israel closed the border and implemented a blockade, to prevent Hamas from rearming (from Iran) with ever more rockets to rain down on their Jewish neighbors. All efforts to mediate a peaceful solution have failed. We have an intractable situation; in which Israel feels it cannot allow a state to be created on its doorstep which is run by an organization vowed to destroy it. Hamas, whose charter commits it to Israel’s destruction, has said it will not live side-by-side with a Jewish State. We are left with a situation which has, definitionally, exhausted all peaceful means to solve it. Now may be the time to give war a chance to settle this dispute. It has become an almost knee-jerk reaction to immediately attempt to arrange a ceasefire , anytime war breaks out between Israel and its neighbors. Time-and-again the unsatisfying result has been wars unfinished, issues left unsettled, and both sides ready to resume hostilities at the first provocation. We often here the statement, “there is no military solution” to this problem, passed off as self-evident wisdom. But, in this case, the opposite may be true. Throughout history, there have been intractable disputes where two groups or nations hated each other with a passion equal to that felt by the Palestinians for the Jews. These disputes were ultimately solved by war. In the 1930s the Germans, smarting from the Versailles Treaty’s punitive treatment and the loss of border regions after WWI, had intractable disputes with Czechoslovakia and Poland. 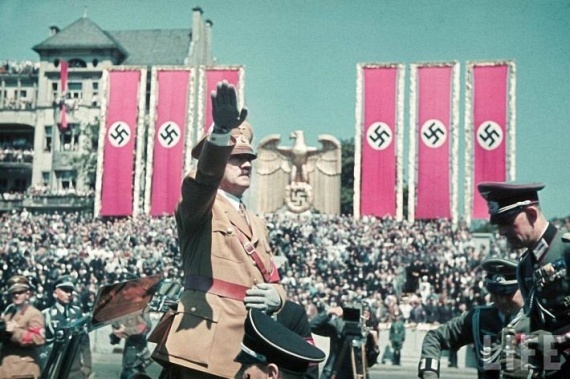 Germans had also elected one of the most evil regimes in history, the Nazi; a problem for all Europeans and humanity in general. Germany solved its first territorial dispute through forceful diplomacy (aided by the pusillanimous appeasement policies of the French and British); the second through armed force. The result was WWII; a terrible conflict that destroyed much of Europe. But it solved the issues that diplomacy could not. Today, there are no seething hatreds or simmering territorial disputes between Germany and its neighbors; and the Nazis are gone as a political force. The argument was settled on the field of battle. Case closed. Ever since, Japan has been a peaceful and productive member of the World Community and ally of the United States; its pre-war ambitions and disputes with America (and the other Allied Powers) resolved by that most final of arbiters, war. One can look throughout history for similar examples: From the Peloponnesian War to the Franco-Prussian War a military solution has solved otherwise intractable political disputes. Instead of trying to put a Band-Aid over this bleeding wound, and trying to shoehorn another ceasefire, why not let the two sides fight it out? Neither wants peace, both have rejected attempts to arbitrate a ceasefire; so why not step back and let them settle this once-and-for all? Remember in the 60s, when the Hippies would sing, “Give Peace a Chance”? Perhaps we need a new version of this song. Perhaps it is time to give war a chance. VIOLENCE ON THE LEFT: IT’S IN THEIR DNA! ASTONISHING: DEMOCRAT CALLS RUSSIAN SHENANIGANS “ACT OF WAR”.